A Department of Defense partnership has drawn ire from the Google’s employees, and thousands have now signed a petition urging CEO Sundar Pichai to shut it down. Google’s involvement in Project Maven, first reported last month by Gizmodo, was intended to help the Pentagon use artificial intelligence to analyze drone footage. The company—and its current board member and former Executive Chairman Eric Schmidt, who also sits on the Defense Innovation Board—has stressed that its involvement is relegated to non-combat uses. But any level of involvement in military projects has become a cause for concern to many employees, some 3,100 of whom have since signed the petition to Pichai, according to the New York Times. The petition, which has floated through the company’s internal communications systems for several weeks, does not impugn Google’s intention to avoid combat applications, instead focusing on the possibility of the military’s repurposing of such technology once delivered. 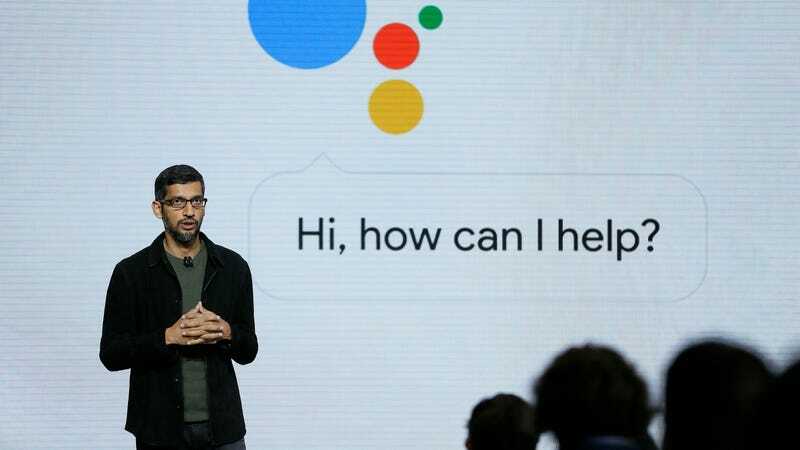 Moreover, Googlers voiced concern that the mere association with military applications could be extremely damaging to the company’s reputation, at a time when the public is increasingly wary of artificial intelligence. The 3,100 signees include “dozens of senior engineers,” according to the Times, and it represents a minority of Alphabet’s staff of over 70,000. Google is implementing Project Maven, a customized AI surveillance engine that uses “Wide Area Motion Imagery” data captured by US Government drones to detect vehicles and other objects, track their motions, and provide results to the Department of Defense.